Our ‘Expert Talks’ series is a collection of interviews with leading industry professionals within the realm of Virtual Reality, Video and Animation. 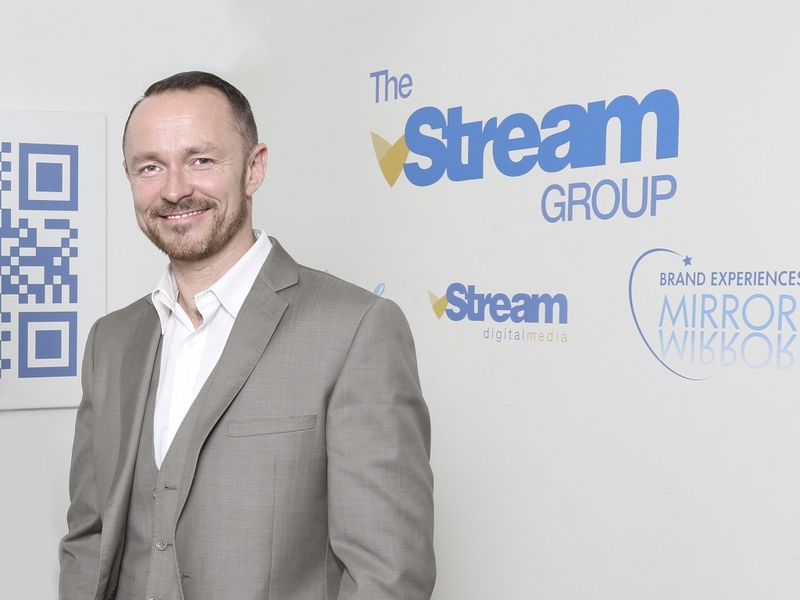 Today we caught up with Andrew Jenkinson, co-founder of the vStream Group to talk about virtual reality for marketing. vStream are an experiential technology company who specialize in Virtual and Augmented Reality. With offices in Dublin, London & New York they have worked on marketing campaigns and brand activations with some of the world’s most prestigious brands. Hi Andrew, could you just give me a bit of your background first.. where did you start out? I started the business a little over 10 years ago. My background is in technology. I have a BSc in Computer Applications from DCU and a Masters in Innovation and Technology Management from Smurfit Business School. The business is a 50/50 partnership with my co-founder Niall O’Driscoll and very much a combination of our skill sets. And where did the initial idea for the company begin? While I was doing my masters in Smurfit one of my childhood friends, Niall O’Driscoll, who I met at the age of 8 in Belvedere College, bonded with me over a crisp sandwich… Niall felt that he was in a similar situation and wanted to go out on his own and try something new. There was a website that was getting quite a bit of traction at the time called Youtube. The idea of online video was something that we felt was going to become very popular and a real opportunity. Niall’s background is much more on the creative side of things. He has a masters in film, he did theatre and drama studies in Trinity. So we really combined our skill sets: my technical and Niall’s creative abilities to put vStream together. It started out as a four person company with Niall, myself and two lads from Institute of Art Design and Technology (a graphic designer and software developer) and we are now ten times that size. Was the business quick to take off? Within about 6 months, we attracted some pretty nice clients including Jameson Irish Whiskey. Customers at the time were interested in Digital Advertising, banner ads, and things like that. We did that stuff to pay the bills, but what we were really interested in was innovation and new technology. How the emerging platforms could facilitate and enable new forms of communication from a marketing point of view. So how did you go about building the vStream brand? We started looking at how we could create ‘world firsts’. The first one we pulled off was in 2008 for Kopparberg. We created a HD interactive video website for the Swedish cider brand. It was a great success and it was just off the back of Adobe delivering the capability to deliver HD videos online, so we created a full screen interactive video website and that won a number of awards. After our success with Kopparberg we went on to work with the Aviva Stadium on another ‘world first’ called ‘The Aviva Stadium 3D Experience’. It was a stereoscopic 3D movie you could watch from the point of a rookie who is plucked from obscurity and gets to play with the international team. That project really launched us from an Irish perspective. Just to take it back a bit, what was your own first experience of Virtual Reality? I first did a Virtual Reality experience I’m gonna say in 1998. I worked for a research company called Broadcom as part of my degree programme in DCU. In Broadcom they had a research lab and a very rudimentary VR device. I started to play with it quite a bit and got interested in it from there. I wasn’t involved in any particular projects. When things really started to get exciting it was 2008. Myself and Niall took a trip to Japan and we really wanted to go over and look at two specific technologies: QR and AR. Quick Response and Augmented Reality. We knew that Japan was really light years ahead with this technology so we went over and met a lot of key players in the area. We saw how seamless the mobile phone usage was when it came to people paying for things.. everything from QR codes, trace ability, scanning.. these features were built into phones and let me remind you this was 10 years ago! So we came back and we were full of the joys of Spring about all these new technologies and told all of our clients, “you gotta get on this, this is the future.. this is happening!” Of course absolutely none of them were interested! It sounded like pie in the sky from their perspective.. “What do you mean you hold up a phone and a webcam and something appears out of no where? !” they would say and “What do you mean you can scan this code and it brings you to a website?!”. When I think about it, we have been pioneering Augmented Reality for at least 10 years now. In comparison to those earlier days where there was quite a novelty factor for brands to engage with Virtual or Augmented Reality for brand activation’s etc.. Do you think people are investing in it more seriously now? There is definitely a bigger appetite for it. But ultimately it has to prove a business case, it has to have a return. We have countless people looking for this technology saying they want an AR experience or they want a VR experience and it’s more often than not a knee-jerk reaction to something their competitors have done. We will generally tend to make them take a step back first and find out what their actual objectives are. And what’s most important to you when deciding to take on a new project? For us, it’s all about the story, the story is greater than the technology. If you can create a compelling story and a really strong experience, then the technology platform you choose is only going to make that better. It’s a slightly nicer way of saying you can’t polish a turd. I read a blog post you wrote recently that was titled ‘VR is Dead‘. I’m assuming you were being a little tongue and cheek with the title? I was! Okay I’ll admit it.. it was a bit click-baity but hey it worked! Really what I was talking about was that the quality of the content that’s produced is very important. I still have potential clients coming to me and saying “I tried VR and I didn’t like it, it’s not for us”. And it’s only because the content that was shown to them was of such poor quality. It’s a bit like someone seeing a bad film at the cinema and declaring that they will never watch movies again! While the technology can be fantastic, and all the innovations we can do are incredible, at the end of the day it’s the story telling that makes the experience good or bad. We built a production company as well as a technology company within the vStream group so we can create all our own content from Live Action to CGI to 360 video. A lot of your projects seem quote bespoke, how do you acquire customers or do they come with a brief to fill? What’s your approach? We managed to grow really well by word of mouth. Our main customers would be the sports market and retail and we are doing a lot with healthcare now from a VR perspective. Sports has been our most prolific area. So when you get into a niche market you can become known as the experts in terms of innovation in that particular space. Fan engagement is a huge thing also activation of sponsorship is something that experiential technology goes hand-in-glove with. We tend to go into a particular area and focus on trying to grow quite quickly there. We have very long standing relationships with all of our clients, sometimes to our detriment as we tend to try over deliver. And who is your ideal client? We look for clients who want to be the first to do something! Brands who want to make new ground and want to take an absolute leap from a competitive perspective. They’re the people that we want to work with. It takes balls, it takes confidence to do that. But there’s a lot of really good people out there especially in the UK and the US market. In Ireland the budgets are smaller therefore the appetite for the unknown is somewhat less at present. 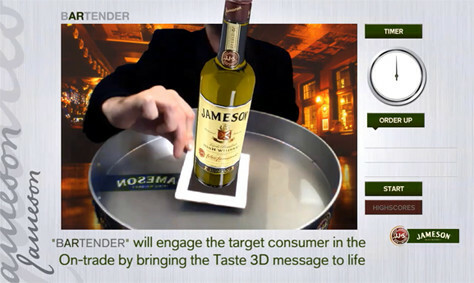 But we are seeing a big interest now in Augmented Reality & Virtual Reality for Marketing work in Ireland. That’s because it’s been proven to work many, many times at this stage. Can you give me any specific example of clients who took a leap of faith? We walked into McLaren and said “Hey, you know Iron Man well? W’re going to build a controlled hologram for you where you can interact with hand gestures.” It had never been seen before but because of the trust we had built up, Ron Dennis said “Go ahead, do it!”. That’s what we needed, someone to really take a leap of faith. The kind of clients that have seen something we have done done before and want us to deliver the same thing are not our kind of clients. You have offices abroad. Is that important to the business? Yes. 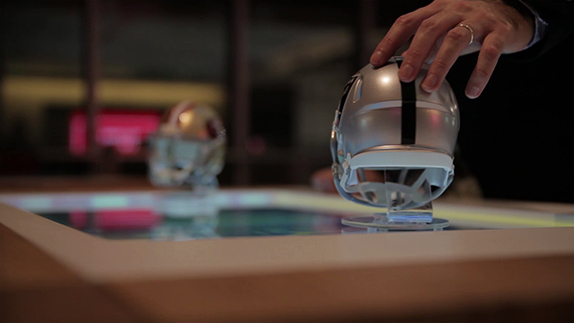 We have offices in Dublin on Leeson Street, our Innovation Lab, where we have a lot of our new technologies and we can demonstrate the work we’ve done for Super Bowl, McLaren, Mercedes F1, Pfizer etc. On display we have a 3D cinema where we screen a lot of content. We’ve an official office in Canary Wharf in London which is an account management and we’ve an office in New York on Park Avenue. It’s very important to have those locations because it gives the brand legitimacy and provides a local presence, even though we are very much an Irish company. 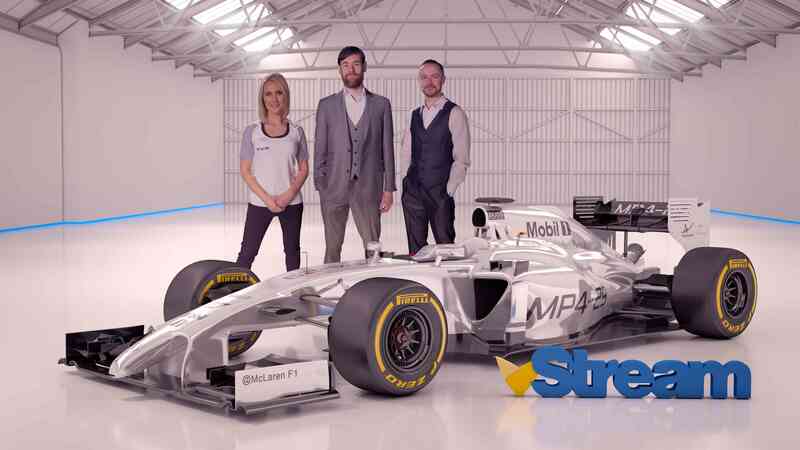 Has vStream received much support on its journey so far? We have been getting phenomenal support from Enterprise Ireland. They’ll give any start-up or medium sized company some advice. If you’re not talking to Enterprise Ireland, stop what you’re doing right now and talk to Enterprise Ireland! They’re seen as a great source of finance as they can be, we’ve gotten a number of research and development grants.. However, where they really add value is the international legitimacy they lend your brand. When you say Enterprise Ireland gives a brand international legitimacy what do you mean specifically? Well for example we made a significant deal by inviting one of our clients to a dinner in the Irish Embassy in London and the Minister for Trade and Enterprise referenced us in his speech. He said we were “one of the shining lights of Irish innovation” and the next day the deal was closed. The company knew we were backed by the government and that we could be considered a safe bet. 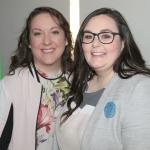 From a networking perspective and in terms of giving your brand legitimacy, what Enterprise Ireland can provide is worth way more than any cheque they would write. 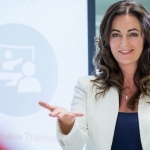 Are you looking to expand further at the moment? 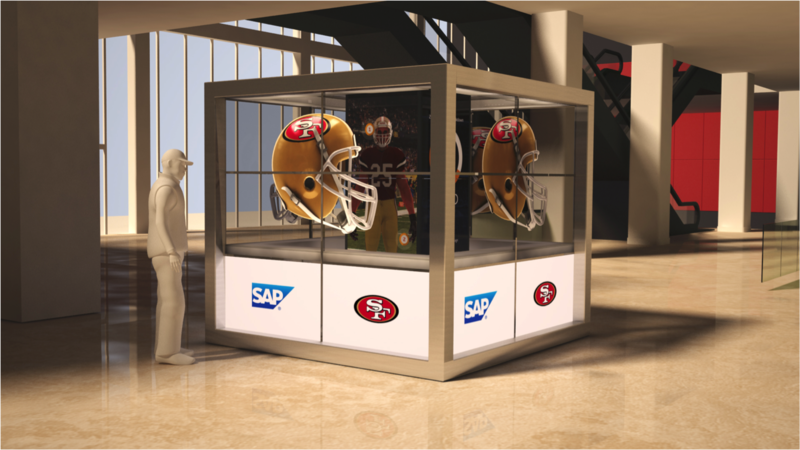 We’re operating in the West Coast of America quite a lot, doing work with the San Francisco 49ers and the Los Angeles Lakers. We haven’t opened an office over there, although we had moved there for a while.. It’s financially prohibitive to set up anything permanent over there at the moment but it’s on the cards. What exciting projects have you lined up over the next few months? We are just about to release a project for Audi international. It basically allows you to go underneath the skin of the car and to interact with all of the technology inside. Using mixed reality, the model of the car will be brought to life. Are you working more with AR than VR? I’m a big fan of VR. Virtual Reality certainly has its place but Augmented Reality is definitely where we are much more bullish about its application and what it can do. I really feel that mixed reality is the space that will occupy the hearts and minds in the next few years. What specifically is the problem with Virtual Reality production in your opinion? My problem with VR is that anyone can walk into a Vodafone store and buy a Samsung 360 camera and a VR headset and set themselves up as a VR agency. The reality is that there are a lot of companies doing that and brands are paying big money for what are essentially auto stitched together 360 videos. Now if it’s done right it can be perfectly fine, but the barrier to entry is very low so the quality bar is not great either. Is that attitude something that has contributed to the success of vStream? Yes, we have tried and distance ourselves from that and only do very high-end VR experiences with strong narratives. AR is really taking off, AR Core and AR Kit from Apple and Google are big-step changes in how people will start to interact with Augmented Reality through the devices in their pockets. Any other game changers on the horizon in your opinion in terms of the industry? Well I think we have already seen as the computer power increases, we are entering a market where people already have the technology in their pocket.. the Samsung Galaxy 9 or the iPhone X etc.. so it’s really just a case of creating content that uses those platforms to their full potential. How do you mean to use them to their full potential? Well we saw it with Pokémon GO.. so many people don’t necessarily realize that’s actually Augmented Reality. But look how quickly there was a mass adoption of this technology as soon as there was a compelling piece of content. AR has been around for years but suddenly someone figured out how to gamify the experience and it totally took off. I think Pokémon GO has been responsible for so much advancement in AR technology. It was that killer app they always talk about. Google and Apple have started to put a lot of money behind AR now. VR has its place but mixed reality is where we have some really big initiatives coming up and I guess they’re the ones I’m most excited about. To keep up to date with the work of Andrew and his team at vStream, you can follow them on twitter here.